Internet Explorer 9 hasn’t been in public beta for long and already we looked at some of the highlights the browser has to offer. One thing that it lacks however is the speed dial function that Opera has. Well, because the “New Tab” page in IE9 saves all of your most visited websites, we can get something *almost* as good as speed dial by employing a simple registry edit. Thanks to Eric Law over at MSDN we have a few pre-made registry edits that you can use to skip ahead and get the desired results now. 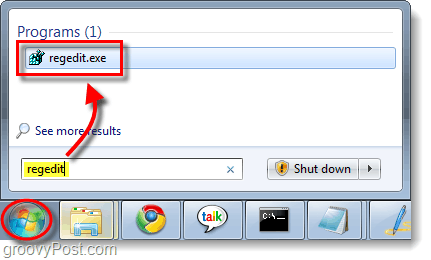 Just download the .reg file and then double-click it, restart IE9 and you’re done! If you want to see the results, check out the screenshot at the bottom of this article. The registry packages are great, but you might prefer to do it manually. In that case, just read the How-To below! 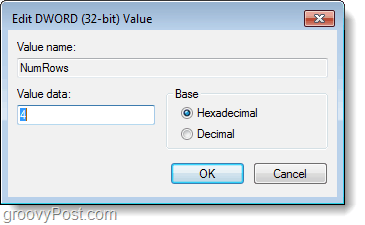 *Note that even if you are on a 64-bit operating system you will still want to create a 32-bit DWORD. Open the NumRows DWORD and change the value to however many rows you would like. I haven’t tested yet to see what the maximum number is yet, but the default is 2. 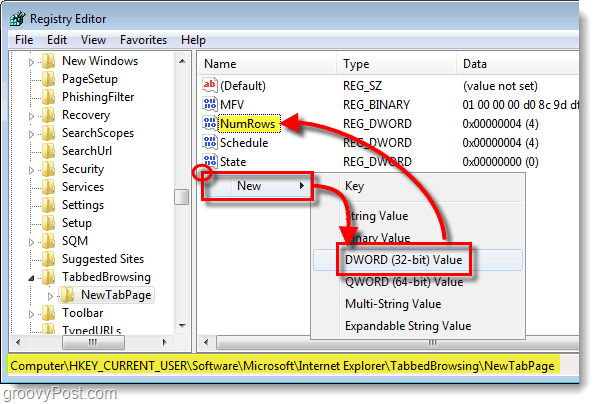 Now your New Tab page in Internet Explorer 9 will have the custom set of rows that you just assigned! Looks great. Now how do I give those boxes fixed values and turn off the ‘most visited’ feature? I don’t want sorta like Opera, I’d really like the same thing. I have to visit about 40 sites every day for my work. I’d prefer to do it in IE9. Opera is a little quirky. Can I add more columns instead of rows? Google Sites gets keyboard shortcuts upgrade!